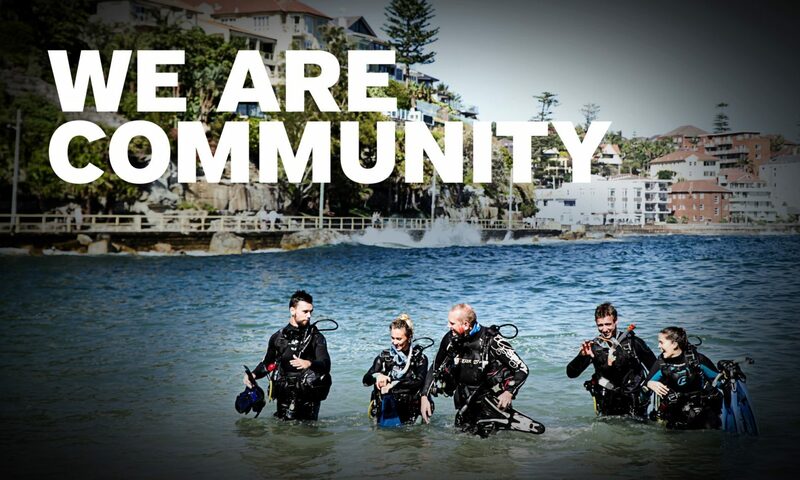 PADI’s Mission 2020 Pledge: Join Us! PADI’s long-standing commitment to ocean conservation began more than 25 years ago with the formation of Project AWARE® Foundation. In 2017, the PADI Pillars of Change were introduced to increase awareness of issues affecting our ocean communities, and to mobilize PADI Professionals and divers to act together as a catalyst for positive change. Now, the PADI organization is integrating the Mission 2020 effort to reduce plastics in the ocean into its overall commitment to ocean health and corporate citizenship ethos. Aligning with PADI’s belief that greater change can be affected when working together, Mission 2020 is a collection of pledges from organizations within the diving community to change business practices to protect and preserve the ocean for the future. With a primary focus on single-use plastics, the project sets ambitious targets of changes to be made before World Oceans Day 2020. As PADI moves towards a fully integrated and digital learning system, we will lessen our dependency on plastics and packaging, thereby mitigating the plastic footprint of PADI Professionals and the million divers certified each year. To broaden our impact even further, PADI is committed to rallying our 6,600 Dive Centers and Resorts to reduce their use of single-use plastics by the year 2020. We invite everyone to make a pledge and to change their business practices in support of a clean and healthy ocean. It’s good for the planet – Changing your business practices to reduce plastics is good for the ocean and good for us too. Let’s protect the places we love to dive and make sure they are healthy for future generations. It will enhance your business – Consumers are proud to attach themselves to a business with purpose. Show your customers that you care about the ocean and they will reward you with their loyalty. It’s good for the dive industry – If we come together as an industry to protect our ocean planet, we set a good example for other businesses to follow. If a clean, healthy ocean is our goal, we need all the help we can get. PADI’s Mission 2020 pledge to reduce plastic with help restore ocean health. Join us in protecting the underwater world we love. Prevent debris from getting into the ocean! Remove single use plastics like water bottles, plastic bags and plastic cups from your shop and dive boats. Work with your local community to organize joint beach and underwater clean-up events. This effort brings awareness to everyone about how individual behaviors positively impact our environment. Set monthly and yearly clean up goals for your local dive sites. Log the debris on the Project AWARE Dive Against Debris® App to contribute to data collection that could influence new ocean-friendly policies. Protect your local waters and Adopt a Dive Site™. It’s the ideal way to engage in ongoing, local protection and monitoring of our underwater playgrounds. Carry sustainably made merchandise in your dive center or resort. Make sure tee shirts, hoodies and other branded goods come from eco-friendly suppliers and are made from non-plastic materials or from recycled plastic fibers. Make the switch to PADI eLearning® and improve your carbon footprint. Going digital reduces production of plastic materials and removes the need for shipping. All members of the dive community are encouraged to make a Mission 2020 pledge. And what a great time to align your pledge with your 2019 New Year’s resolutions! Whether sustainability is already a key component of your business model or you’re just getting started, we encourage you to join in by making adjustments (big and small) to your business practices in support of a clean and healthy ocean. See what others in the industry have pledged on Mission 2020’s Who’s In page. We believe that the global PADI family is a force for good that can help play a critical role in protecting and preserving our oceans for the future if we all make conservation a priority at our places of business. The planet’s environmental health is the biggest challenge humanity has ever faced. Looking at the innovation, initiatives and social ground swell happening on all fronts, we know we can rise to the challenge through dedication, focus, tenacity and importantly, by working on hearts and minds as well as preservation and restoration. Involving kids – the coming generations who will inherit the Earth – is crucial for our future. Global conservation is making great strides, but a sustainable future demand that it becomes an ongoing mindset that expands and gets passed on. And, it’s happening, thanks to divers who reach and teach youngsters to share a passion that goes beyond diving to protecting and restoring the underwater world. In Tahiti, the Moorea Coral Gardeners – a growing team of youngsters (and some not-so-youngsters) – freedives to replant coral to reverse damage to Moorea, Tahiti’s incredible reefs (still awesome, by the way). But, they go further, educating local youth about why all the world’s coral reefs are environmentally and economically important, and need preservation. The Gardeners started as a local youth coral restoration project and now, through social media, they touch lives everywhere with an age-spanning team of international professional athletes, actors, and media stars. The U.S.-based Kids Sea Camp, founded by PADI Instructor Margo Peyton, involves youngsters starting at age 4 (snorkeling) at some of diving’s best and most popular south Pacific and Caribbean destinations. In Kuala Lumpur, Malaysia, at Kids Scuba Syed Abd Rahman is on a parallel mission, bringing new talent into diving’s ranks by uniting ocean and coral conservation with diver training. Both groups introduce youth to wonderous, eye-opening underwater adventures while embracing diving’s higher purpose as the underwater world’s ambassadors and protectors. Still other divers reach kids wherever they are; in Koh Tao, Guy Corsellis talks with kids at the Koh Tao International Primary School about marine life, how it behaves, why it’s important and how to be kind to the environment. There are many examples like these, and there need to be more because through involvement, engagement and example, young divers learn that the ocean and coral reefs are not just awesome, but threatened. They learn why and, most importantly, what we can all do about it – and we’re talking about more than coral. Showing our youth the underwater world and coral reefs is the best place to start in building a global culture that lives harmoniously with the global environment. People who experience coral reefs come to care about them quickly – and because these are the world’s environmental barometers, it’s often where we see subtle changes first. People focused in preserving this fragile environment will take on the bigger environmental issues because almost all of them ultimately affect the coral reefs. In other words, to preserve and restore the coral, we really have to preserve and restore the world environment. Let’s applaud the reachers and teachers who motivate young people to embrace the underwater world, but I challenge all of us to also beone of them. Share your diving experiences with the kids in your life – at schools, youth centers, clubs, neighborhood, home — anywhere you cross paths. Explain why the oceans, reefs and the creatures living there are special and important, and how choices like reusing and recycling make a difference. Offer to introduce them to a dive instructor if you’re not one yet, or teach them to dive if you are. Then, watch their eyes light up when they see, hear and feel what you and I have come to love so much. It’s one of the most rewarding ways to contribute to a better future. It’s a devastating fact that 1 in 2 people in Australia will be diagnosed with cancer before their 85th birthday (source: Australian Institute of Health and Welfare). So it’s only natural to want to raise much needed funds for research into this widespread disease. In 2013, PADI Divemaster and Cancer Council Ambassador Mark Tozer created Dive for Cancer, a unique scuba diving fund raising event. Since then, Dive for Cancer has grown into a non-profit organisation that brings together divers all over Australia and beyond to raise much needed funds for cancer research. This year, there have been three Dive for Cancer events hosted in Queensland, South Australia and, for the first time, New Zealand. “This year the weather favoured our sell-out event, enabling 150 divers to dig deep in our underwater passion and joint goal in the fight toward a future without cancer. Despite the weather in New Zealand trying to keep divers away (roads were closed following a cyclone) it was a great day there too with 14 dedicated divers raising an awesome $1,315NZD. It’s always incredible to see the diving community come together to support a cause and Dive for Cancer is no exception. Congratulations to Mark, the Dive for Cancer team and everyone who got involved in this year’s events. Hope Spots are about recognising, empowering and supporting individuals and communities around the world in their efforts to protect the ocean. By activating its global network of divers and dive professionals, the PADI family will further bring attention to marine areas in a worldwide network targeted for enhanced protection. In November 2016, PADI announced our Four Pillars of Change social and environmental responsibility program. Devised to elevate the PADI mission to be best in and for the world, the Four Pillars will help connect the PADI community to the ocean causes they care about. Program efforts will be focused on building awareness of important issues affecting ocean health, strengthening dive communities and dive infrastructure, and forming global alliances that will engage and mobilize PADI Dive Centres, Resorts, dive professionals, and divers to be a global force for good. If governments, civilian organisations and communities work together to formally protect Hope Spots, these special marine environments can form the seeds of tomorrow’s healthy ocean. Currently, only 5% of the world’s oceans are protected. By joining forces, the goal set forth by the International Union for Conservation of Nature (IUCN) World Conservation Congress to protect 30 percent of our world’s oceans by 2030 is reachable.